Alan Walker on Brahmastra soundtrack? 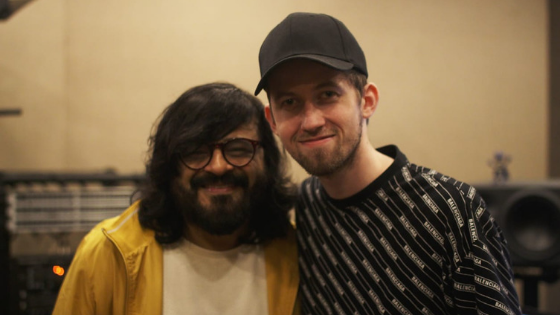 Alan Walker was in India recently for the YouTube Music India launch and while he met quite a few Indian musicians there, he made sure to spend some quality time with everybody’s favourite Indian musician: Pritam. The two met at the Jam8 Studio and from the sound of it, Pritam got along very well with the world-famous DJ-producer and his team. That could only mean one thing and one thing only. There’s definitely a collaboration happening. And from the sound of it, the work on it has ended. Which could lead one to conclude that the two have worked on a film as there’s no buzz yet on any of Pritam’s upcoming non-film projects. That leaves Kalank out (it’s a period film, duh! Plus, it releases next week). Chhichhore also feels like a coming-of-age film set in an earlier time. That leaves us with Brahmastra. It’s a superhero film with great ambition and a young cast. It seems just like something that would get pitched to Alan. Our money’s on Brahmastra being the film Alan debuts in Bollywood with. What do you think?